Guo Pengpeng (left) communicates with a beekeeper. He can hardly hear anything, so he has to use a notebook to write things down. 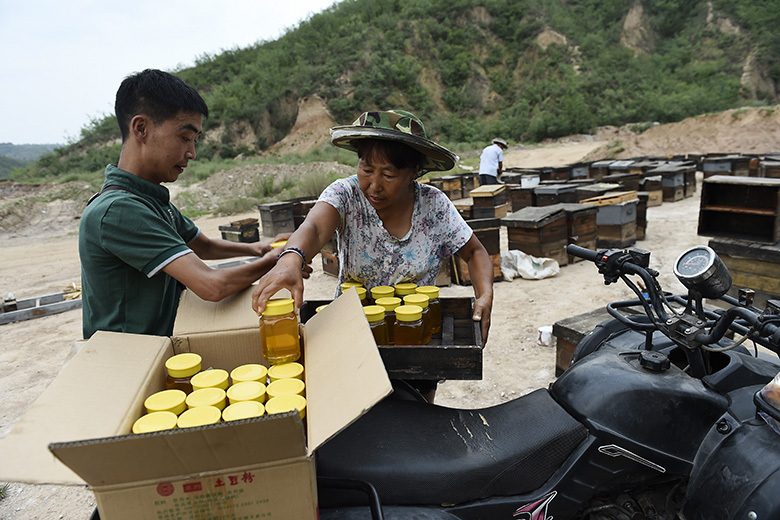 Guo (left) buys honey from beekeepers. Guo and his father (left) filter out bad walnuts before packing the good ones in bags and boxes. 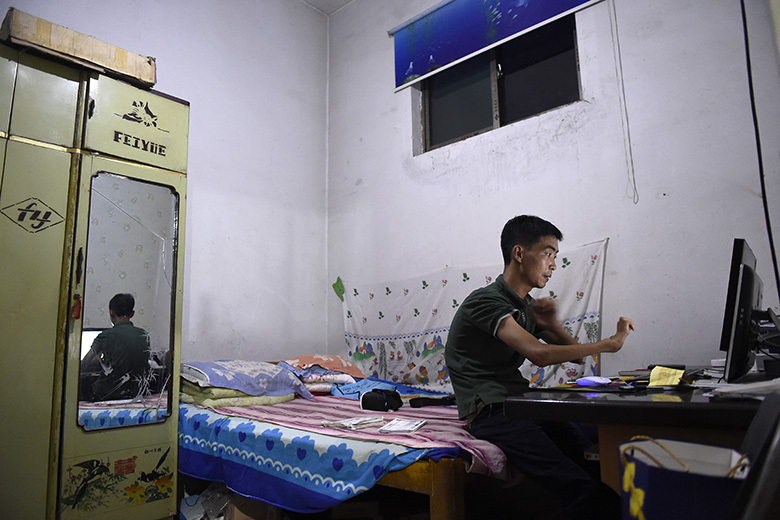 Guo manages his online store and communicates with customers, despite the limited use of his hands. 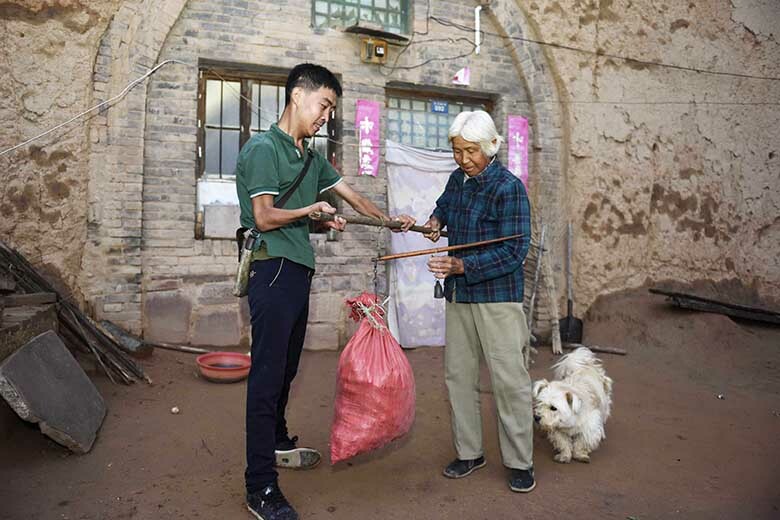 Guo buys walnuts from a villager. Guo sends out his product. Packing for him is a lot harder than for other people. 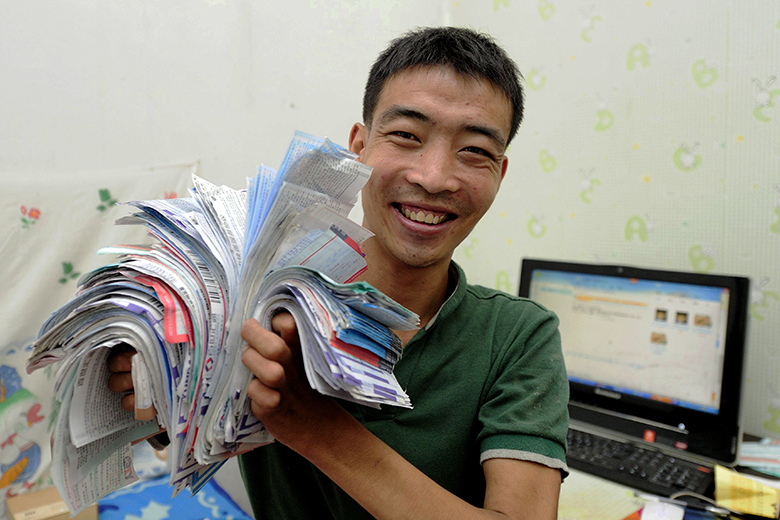 Guo holds his shipping orders. Guo talks to a delivery man. For villagers in Guxian County, a famous walnut producing area in north China's Shanxi Province, online walnut sales hit over 7 tons in 2015 alone. "Guo the Entrepreneur" is behind the miracle. Really named Guo Pengpeng, his nickname comes from fellow villagers. The 27-year-old man was diagnosed with progressive muscular dystrophy in middle school, a disease that caused deafness and muscle loss in his arms and legs. In 2010, broadband became available in Guo's village. With money saved from previous sales jobs he bought his very first computer. Despite the high quality of nuts, selling produce was a perennial headache for local farmers. 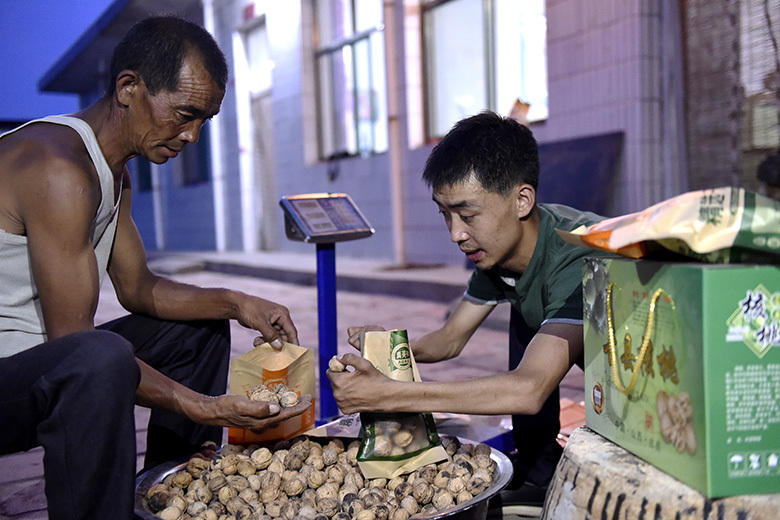 Guo gathered walnuts from villagers, who were previously forced to stock their produce or sell it at an extremely low price, and attempted to find online buyers. However, his first deal was not made until 2013. Over the years, Guo has developed his own business expertise in selling walnuts online. The nuts he sells are organic and carefully inspected. 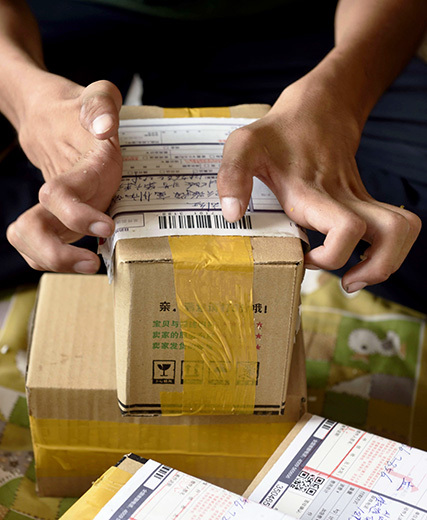 Fortunately, his hard work has paid off, as his online store "Shanxi Speicalty Guo The Entrepreneur", which sells local special products like walnuts, honey and millet, aquires an increasing number of regular customers. 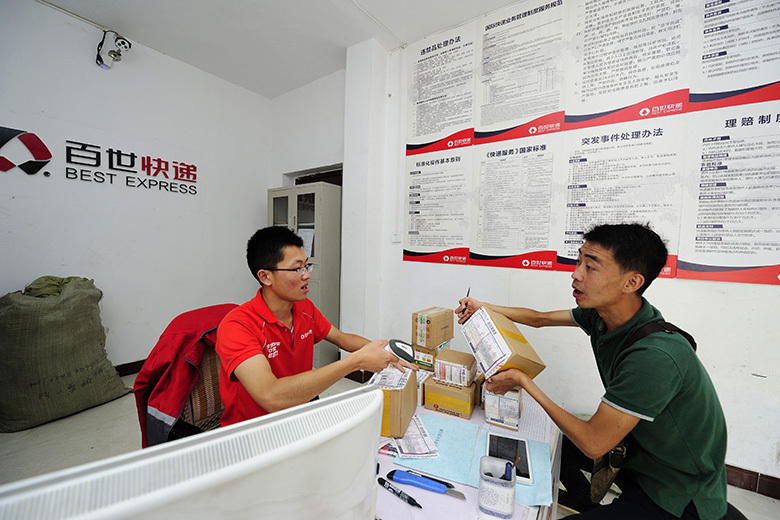 He managed to sell 600kg walnuts in a single day, and his business on Taobao, the world's biggest e-commerce platform, is running smoothly with annual revenue of nearly 300,000 yuan (about $45,000). "I was told that a patient like me could hardly live more than 20 years. I was scared indeed. But I never give up. I told myself, I shall live every day of my life to the fullest," Guo said. "Walnuts are sold. My fellow farmers are happy. My customers are happy, too, because I can get them the local specialty they want. This is how I realize my value." "My goal is to turn my online store into a brand, and make our walnuts more famous," he added.